Westside Middle School Forum Packs in Parents! 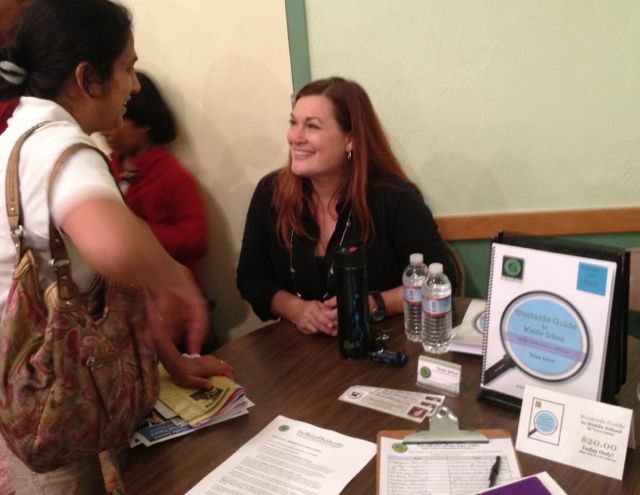 Tanya speaks to a packed house last Thursday at the Westside Middle Forum at Coeur d’Alene Elementary School in Venice, CA. Thanks to organizers Julia Morgan and Sandi Wise of the Venice Neighborhood Council’s Education Committee for putting on such a great event featuring nine area middle schools, and thanks to the many parents I had the pleasure of meeting and chatting with. Fun! This entry was posted in Press, Public School and tagged Coeur d'Alene, middle schools, speaking event, Tanya Anton, Venice, venice ca, Venice Neighborhood Council, Westside Middle School Forum by gomama. Bookmark the permalink.